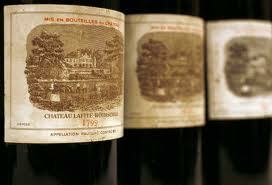 Police in China have seized 10,000 bottles of Lafite they suspect are fake in an abandoned house. The haul was uncovered at a vacant house in Wenzhou, Zhejiang province, the house’s owner named only as Zhou has not lived in the house for nine years and denies any knowledge of the stash. If genuine the collection is worth in the region of 100 million yuan (US$16m), however only 50,000 bottles of real Lafite are imported into China every year. Police are said to be confident that it is fake and that they hope to find the workshop where it is produced close by.